And much much more. There’s virtually nothing that you can’t do with this toolkit and its super easy to use. Before playing with it, we recommend to have USB Debugging enabled on your device if you haven’t done it yet. 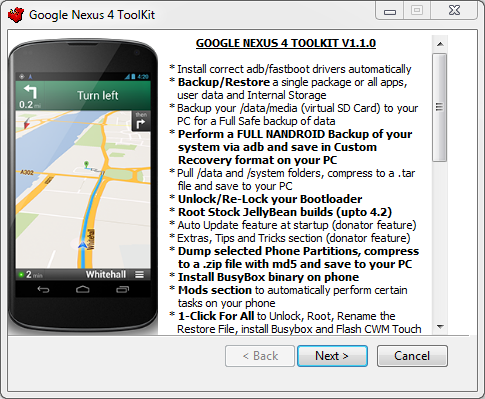 Please note that the Nexus 4 Toolkit for Mac or Linux is not available, it’s Windows only. So, you will have to use Windows XP / Vista or Windows 7 to use it.